Geoffrey Petts was an outstanding scientist who made distinguished contributions to river science and, notwithstanding his move into university senior management in 2001 and becoming Vice-Chancellor and Rector of the University of Westminster, he continued to conduct research, supervise doctoral students and edit a major international journal. While his research profile is stunning, his personal qualities made him a particularly exceptional individual and this combination explains why so many people across the globe will miss him deeply. Geoff was a larger-than-life character, who always maintained a positive attitude, even during difficult times, and faced life’s challenges with endless good humour. He treated everyone equally, listening to people’s views and acknowledging them even if he did not agree with them. He was also prepared to make what he believed to be the right decisions, even when they might be unpopular. He was an exceptional leader but also a great team player, an inspirational teacher and speaker, and a sincere friend who was always there offering to help whenever he was needed. Geoff graduated from the University of Liverpool in 1974 with a joint honours degree in Geography and Geology. 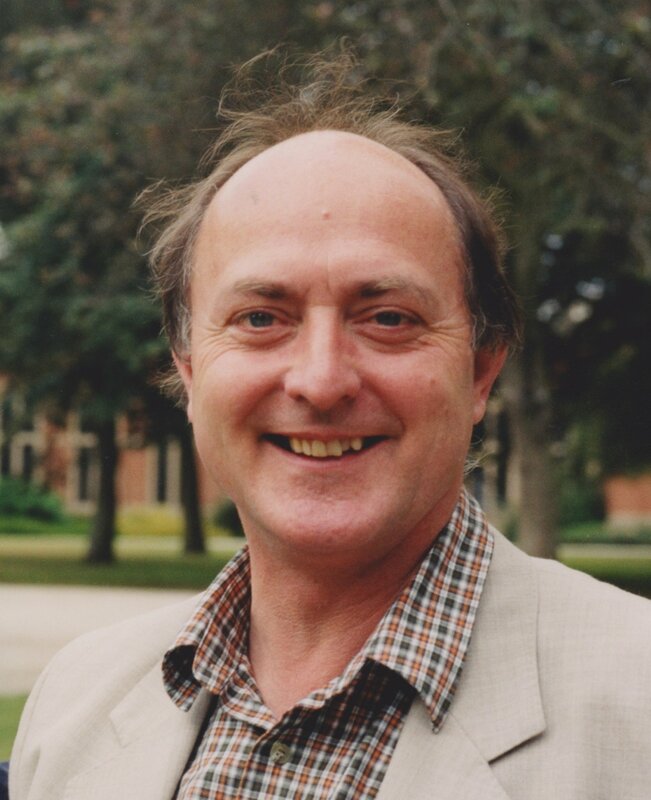 In 1974, he commenced doctoral research in fluvial geomorphology at the University of Exeter under the supervision of Ken Gregory, transferring to the University of Southampton in 1976 when his supervisor was appointed to a chair. In 1978 he was awarded a PhD when he was already employed as a lecturer at the Dorset Institute of Higher Education (1978-1979). He was appointed Lecturer in Geography at Loughborough University in 1979 and was awarded a chair in 1989. After three years as Head of the Geography Department he moved to the University of Birmingham in 1994 as Professor of Physical Geography. He became Director of the Centre for Environmental Research and Training in 1996 and Head of the School of Geography and Environmental Sciences in 1999. He was Pro-Vice-Chancellor of the University of Birmingham from 2001 until becoming Vice-Chancellor and Rector of the University of Westminster in August 2007. Geoff retired from this post and received an Honorary degree in 2018. Geoff’s doctoral research focussed on the geomorphological response of river channels to flow impoundment and regulation by dams. Unusually for the time, but typical of Geoff’s interests throughout his academic career, this research tackled an important applied problem as well as delivering an excellent piece of fundamental science. Although starting as a geomorphologist, he soon recognised that river science needed to address the intimate linkages between geomorphology, hydrology and ecology. He was one of the first to recognise that multidisciplinary understanding was the key to developing sustainable solutions to river management problems. Geoff published on numerous aspects of river science from physical to chemical and biological, from patch to catchment scales, and always with the aim of developing practical applications of the results. In adopting this holistic approach, he was adhering to the truly geographical (integrative, multi-scale) tradition to which he subscribed. Pursuing this tradition, his early research on dams and geomorphology resulted in the publication in 1984 of his best known and scientifically revolutionary book ‘Impounded Rivers’, which, according to Google Scholar, has achieved over 1500 citations. Geoff authored and edited a further 21 books including Rivers and Landscape (1984 with I.D.L. Foster), Alternatives in River Regulation (1989 with J. Gore), Historical Analysis of Large Alluvial Rivers in Western Europe (1989 with A.L. Roux and H. Möller), Water, Engineering and Landscape (1990 with D. Cosgrove), River Conservation and Management (1992 with P. Boon and P. Calow), and The Rivers Handbook (2 volumes, 1992, 1994 with P. Calow). He also contributed 47 book chapters. The Web of Science lists 129 papers covering his interests in flow regulation, flow regimes and prescriptions for environmental flows, river channel adjustments to natural processes and human actions, river bed sediments and landforms, hyporheic flows, water temperatures, interactions between wood, vegetation and fluvial processes, and the history of river engineering. These outputs are numerous, varied and all the more remarkable considering that such a large part of his career was devoted to university management. As well as publishing prolifically, Geoff supervised 22 research students. In addition to his research activities, Geoff founded the international journal River Research and Applications (previously Regulated Rivers), which reflects Geoff’s multidisciplinary and applied interests in river research and management. He served as Editor in Chief from 1985-2016, overseeing 32 volumes. He also held many influential appointments related to river science including: Director of the International Water Resources Association; Council Member of the Freshwater Biological Association; Member of the NERC Centre for Ecology and Hydrology Programme Development Group; Member of the Scientific Advisory Committee for the UNESCO IHP Eco-Hydrology Programme and the International Council for Science (ICSU) Scientific Committee on Water Research. He was elected President of the International Society for River Science (2011-13) and President of the British Hydrological Society (2015-17). Among many awards, he received the Busk Medal from the Royal Geographical Society (2007) and a Lifetime Achievement Award from the International Society for River Science (2009). Geoff had numerous interests beyond academia including a lifetime passion for sport. He played hockey, cricket, and golf through most of his life. In recent years, he contributed more to the promotion and management of amateur sport but he continued to be an active fisherman. It was particularly fitting that as Chair of the Board of Podium (2010-2013), he took responsibility for engaging and coordinating support from universities and further education colleges across the UK for the London 2012 Olympic Games. Geoff had so many good friends across the globe. He spread good will internationally and was a magnificent ambassador for geography, geomorphology, hydrology and river ecology. Even during his final illness he continued to engage with river science: preparing for the British Hydrological Society conference of autumn 2018; planning a special issue of a prominent science journal; and outlining future research endeavours that would have provided new perspectives on British rivers. Geoff was a family man, who always recognised the important contribution of his parents in encouraging him to work hard and aim high. He is survived by his wife of over 40 years, Judith, who gave him enormous support throughout those decades. Geoff Petts - Vice Chancellor, Professor, scientist, mentor and friend - will be sorely missed by all of us.